Good news: the bond and levy passed – the bond with an overwhelming 73.1 percent and the levy with a stunning 65.8 percent. But wait – isn’t that also old news? Yes, it is, but many of us are wondering what exactly is going to be fixed, redone, or added onto our school campus. The total cost for the bond amounts to $10.8 million with what will be two summers’ worth of work done on the campus. In the high school, a new HVAC heating system will be installed in the summer of 2018 to bring much-needed heat to the building. The high school’s plumbing, sewer, and fire sprinklers will be updated as well, and doors throughout the entire campus have recently been changed to electronic handicapped doors. Every surface inside the elementary school will be redone – this means there will be new paint on the walls, new bulletin boards added, new tiles for the floor, and new interior finishes in the bathrooms. The same will happen for the interior of the high school, and if the Old Gym floor is replaced, then the historic gym flooring will be saved and put to good use in the high school as wall coverings and tabletops, and the Viking emblem will be hung in a place of honor. By the end of 2019, our Old Gym will look brand new. With new covers to hide its pipes and electrical paint, two remodeled and reconfigured locker rooms, new bleachers, a new scoreboard, and either a repaired or brand new floor, the Old Gym might look even better than even the New Gym. The Old Gym is also going to have upgrades with its HVAC system, fire sprinklers, electrical, and acoustics. For performances or classes on the stage of the Old Gym, there will be a partition added. To complete the band room that was added to the school a few years ago, a strings/multipurpose room will be put onto the back end of the band and Old Gym building. This room will be used not only for string classes, but potentially for yoga and theatre classes. 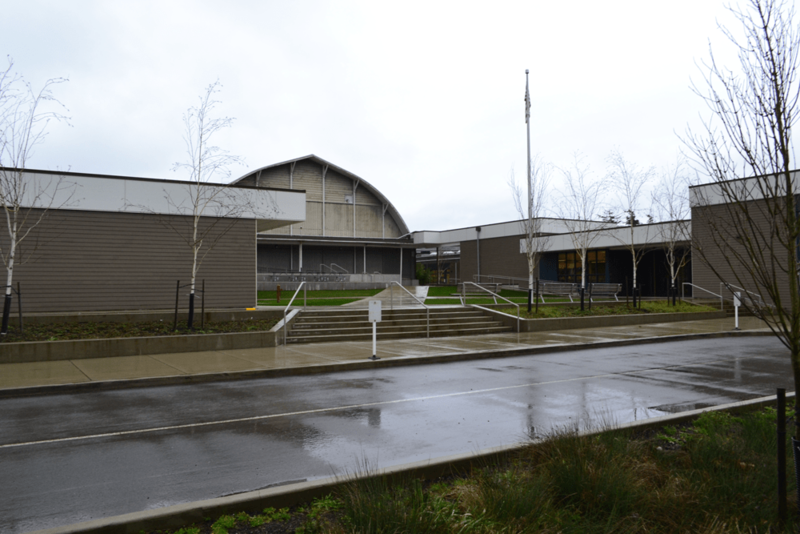 Waldron Island School, part of the school district, will receive upgrades, too. New additions will include a fresh layer of paint, a partition, and a strengthened and repaired roof. As many drivers have been inquiring about, the school roads will get some love as well. Because of the trucks and equipment driving through the campus during construction, new asphalt will not be put down until after the machines have finished their work and everything else is finished. The potholes will be filled and the road will be smooth as butter. The levy contains nothing more than the reconfiguration of the school fields and an addition of a generously donated track, but these two improvements are just as important as all the upgrades in the bond. Where the existing high school soccer and football field is, there will be two baseball/softball fields. The batting cage by the upper parking lot will be moved next to the new fields. The middle school soccer practice field and baseball fields will be relocated when the new six-lane track is put in. The soccer and football field will sit right inside of the track, and the bleachers will be relocated between the high school and field. The total cost for the construction and design of these fields will be a little over $2 million. Many thanks to Phyllis Henigson for her extremely generous donation of a track that students and community members alike can use, and thanks to all of those who voted to provide these much-needed upgrades. For more information, go to the official school bond and levy website at www.orcasislandschoolsbondandlevy.com.